The most common news these days about the Polar ice caps lay in their slow, but steady melting due to global warming. Located at the North and South Poles, ice covers both of these regions. The sun’s energy reaches these places but remains too weak to melt the ice. Despite the harsh conditions in these regions, some animals thrive in the environment, calling it home. The Weddell Seal and Crab-eater Seal are some seal species found in the ice cap regions. The Weddell Seal can weigh up to 1,300 lbs. Its thick layer of fat and thin dense fur keeps it warm. It feeds on fish, squids, octopuses, krill and crab. The Crab-eater Seal, despite its name, doesn’t eat crab, but feeds on krill – shrimp-like animals that are abundant in ice cap regions. The Crab-eater Seal weighs more than 400 lbs. with mostly fat composing their weight. Some Arctic birds fly to Polar Regions for nesting when snow melts during the warmer months. They feed on insects and plants that are able to survive the harsh climates. Only a few birds live in these regions all year round, including raven and snow species. Ravens come from the crow family, often growing twice as large as crows. They use their black feathers to absorb heat from the sun. Food usually consists of small mammals and insects. They sometimes steal food from other animals to survive. The snowy owl protects itself from the cold winters with its feathers, covering the body from head to toe. They feed mostly on lemmings and other small animals. Whales – like the bowhead and beluga – are capable of living in the icy waters of the Polar Regions as well. The bowhead whale has thick layers of blubber all over its body, storing heat. The whale gains its name from its bow-shaped mouth. It typically feeds on krill and small animals. “Beluga” in Russian means “white one.” The cold-water inhabitant feeds on sea creatures, like the squid, octopus and other fishes. 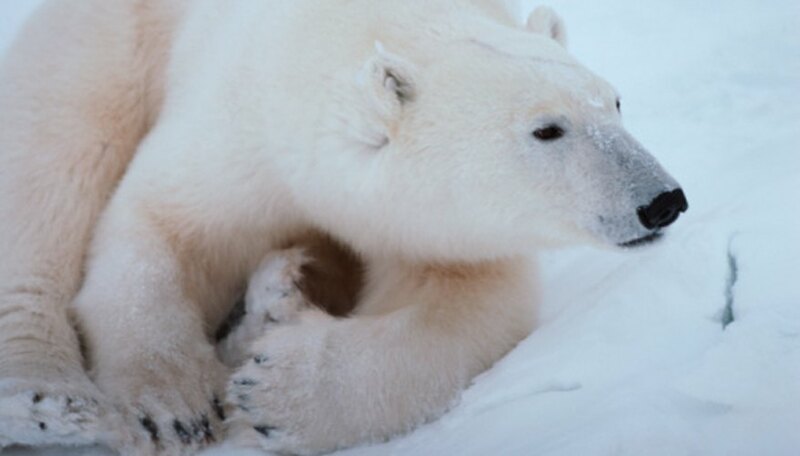 Polar bears survive with their thick oily fur coats and layers of body fat, keeping them insulated. They are the largest bears in the world and can easily kill prey with their sharp claws. They travel all over the Arctic in search of food. Food mostly consists of sea animals, seals being the prime delicacy. Johnson, Steve. "What Types of Animals Live in the Ice Cap?" 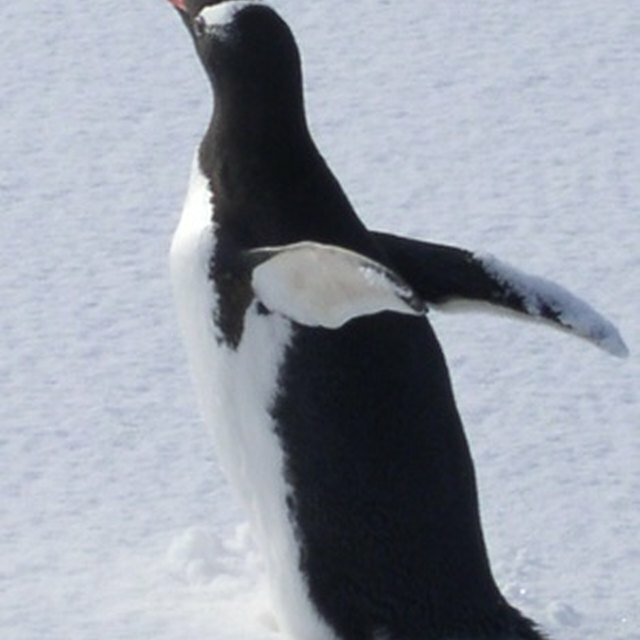 Sciencing, https://sciencing.com/types-animals-live-ice-cap-8205772.html. 24 April 2017.